California legislators have confirmed what several high-profile reports and nearly anyone involved with students with disabilities have been saying for years about the state’s system of paying for special education: It’s insufficient, inefficient and inequitable. But while succeeding in drawing attention to what’s wrong, a three-hour joint hearing last week of the Senate and Assembly education committees provided little assurance that the Legislature would find additional money — amid competing priorities — or exactly the right fix this year. After all, when they created the current approach 20 years ago, lawmakers thought they had the solution — only to be shown, over time, that they didn’t. School districts spent $13.2 billion on the state’s 734,000 students with disabilities, from infants to age 22, in 2015-16. Of that total, 662,000 were in grades K-12 — 11 percent of all students, according to the Legislative Analyst’s Office. But targeted funding from the federal government ($1.2 billion) and the state ($3.8 billion) made up little more than one-third of that money — and that share is declining. Since paying for students with disabilities’ individual needs is a state and federally mandated entitlement, districts funded the remaining 62 percent ($8.8 billion) by redirecting money from their general fund — a source of tension for districts strapped by other rising mandated costs and unmet needs of non-disabled students. A decade ago, the federal and state funding met over half of the costs of special education. The declining share, now 38 percent, has coincided with a sharp spike in the number of students identified with a disability. The 1.3 percent growth in the total number of students in the state since 2005 has been sharply outpaced by the 11 percent rise in the percentage of students with disabilities. That difference underscores just one of four significant problems with the current funding system. The others are a failure to fund mandated help for preschool students with disabilities, disparities in funding across the state and a failure to ease the financial burden of assisting severely disabled students. Students with disabilities are served by 133 regional agencies that administer special education services for member school districts. These agencies, known as Special Education Local Plan Agencies, or SELPAs, serve either multiple districts or a single large district. Overall enrollment is declining in about half of the state’s school districts — but not special education enrollment, which results in many SELPAs receiving less state revenue for more students. San Bernardino City Unified, which is large enough to have its own SELPA, illustrates the challenge. Jayne Christakos, chief business officer for the district, told legislators that at the same time that district enrollment dropped by 398 students, leading to a loss of $4 million in general funding and $210,000 in special education funding, the number of students identified with disabilities increased by 189 students. Many of those are autistic, requiring more money than the state provides. The current system, adopted in 1998, switched to funding based on total enrollment to discourage districts that were suspected of over-identifying special education students and placing them in separate classes with more seriously disabled students — to get bigger reimbursements. The new process, which is funding based on enrollment, not specific disabilities, did simplify the process but no longer corresponds to need. The law also grandfathered SELPAs’ revenues based on what they were receiving under the previously flawed system. As a result, the SELPA reimbursement rate ranges from $480 to $930 per student, based on a member district’s total enrollment. Often two adjoining SELPAs can have sharply different rates. Depending on how many students with disabilities are in a SELPA, the difference can translate to several thousand dollars per student. The 1998 funding law recognized the illogical funding disparities and set a goal of equalizing SELPA funding but there has been no additional funding to do this since 2000-01. Assembly Education Committee Chair Patrick O’Donnell, D-Long Beach, pursued the issue last year with Assembly Bill 312, which set a target rate of $665 per student within five years, with no district getting less money than before. But the bill, with an estimated cost of $300 million, failed to pass for lack of support from the state Department of Finance. The Legislature anticipated that SELPAs could handle the needs of students with moderate and severe disabilities within a uniform funding rate, but the number of those students— who require the most costly services — also has been increasing fastest. The numbers of students with speech and mild learning disabilities, comprising 60 percent of impairments, have declined over the past decade while students with autism rose 200 percent and now constitute 14 percent of students with disabilities, according to state data. The increase is a national and international trend, which Sen. Richard Pan, D-Sacramento, a pediatrician and member of the Senate Education Committee, attributed to changes in diagnosis criteria — and not, as some have argued, vaccinations or environmental toxins. There are no longer financial incentives for districts to identify autism, said Anna Marie Villalobos, director of Santa Clara County SELPAs, and no extra money to place students in isolated classrooms. The state provides only $450 in extra aid per student for severe disabilities like blindness and severe physical disabilities, although not for autism. These students can require tens of thousands of dollars in costs annually, particularly for out-of-district residential placements. A few students requiring this kind of care can swamp a district’s budget, Pan said, recognizing the state must pick up some of this responsibility. A bill by Assemblyman Al Muratsuchi, D-Torrance, which would have provided supplemental funding for severe disabilities, died in committee last year. 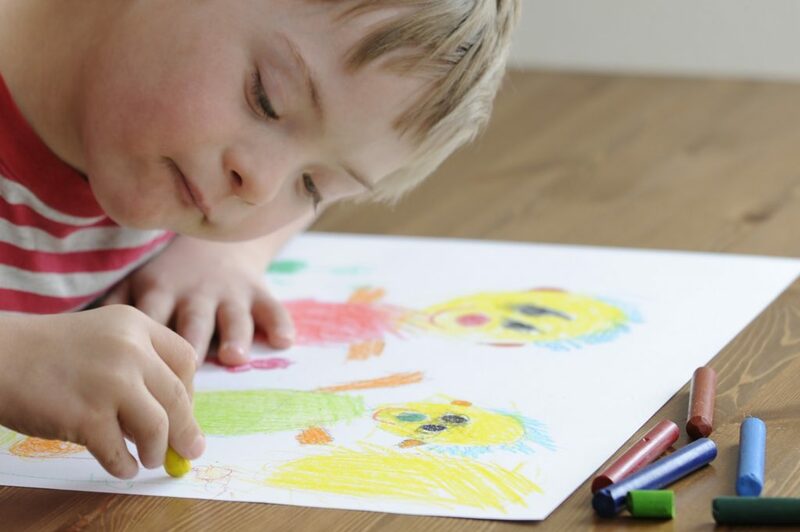 Federal law requires that school districts identify disabilities early and address the needs of students in preschool. Speakers at the hearing repeatedly agreed that this is a smart investment, with “the biggest bang for the buck,” as Kristin Wright, director of the special education division in the California Department of Education, put it. A lengthy analysis of AB 513 cited a study that estimated that children who receive high quality care before kindergarten are 40 to 60 percent less likely to require special education interventions when they reach school age. But the state provides no dedicated funding for special education in preschool, only K-12. Districts reported spending $500 million per year on preschool special education by redirecting state K-12 special education funding and general fund money. A bill that would have provided preschool money for students with disabilities, introduced by Allen, died two years ago for lack of action. The same criticisms of special education financing also applied to state funding of general K-12 education before 2013. That’s when, at Gov. Jerry Brown’s urging, the Legislature passed the Local Control Funding Formula, which has equalized disparities in districts’ funding and folded into base funding dozens of specified pots of money, called categorical grants. But Brown didn’t eliminate special education funding, the biggest categorical, or equalize it. Instead, he has used the clamor for financial reform as leverage for more transparency in how SELPAs spend money; a 2016 report by the Public Policy Institute of California found it was unable to find budgets online for more than half the state’s multi-district SELPAs. Brown also wants better coordination between SELPAs and school districts to improve the academic performance of students with disabilities. Last year, students with disabilities were the only student group flagged for help in half of the 228 districts designated for intense academic help under the state’s new school accountability system. $10 million for SELPAs and county offices of education to work together on academic plans for students with disabilities. But Brown hasn’t budged on larger finance reforms. Robbie Kreitz, a veteran special education teacher from Dublin Unified, cautioned that solutions would demand more funding. In a single classroom, she teaches special education students of various ages and grade levels diagnosed with “the gamut of emotional disturbances, autism and learning disabilities.” To shift these students to an “inclusive” class with non-disabled students, which is the state’s goal, would require additional psychologists, counselors, classroom aides, materials and training for classroom teachers. In a report three years ago, a foundation-funded Statewide Task Force on Special Education called for equalizing SELPA funding and continuing funding based on total student enrollment, but also increasing funding for severe disabilities. At the legislative hearing, Maureen Burness, a co-executive director of the task force, and Wright, of the Special Education Division for the state, reiterated the need for those changes. Seconding Wright, Burness specifically called for early intervention services for what she called a “burgeoning preschool” population of students with disabilities. Stating that the “real cost driver is in the area of high severity students,” Allen asked how the state could “thread the needle” so there would be “less opportunity for bad financial actors to manipulate that sort of diagnosis” for more money. Burness acknowledged that autism “is a spectrum disorder so it would be a matter of being really careful” in determining who qualified for additional funding. Wright said disabilities with significant needs for support, such as blindness and deafness, are often evident early and are not ones that can be incentivized. The level of needed services required, not a diagnosis of a disability, should drive funding, she said. Allen encouraged continuing discussions in coming months. Thanks for a well written and very informative article on this critical issue. Unfortunately, the injustices involved make this area overripe for litigation. The 1971 era Serrano vs. Priest cases from the California Supreme Court prohibit inequitable disparities in general educational funding across California. It would not be much of a leap at all for another case to be brought to achieve the same for special education funding, including the SELPA disparities. Federal law requires great diligence in identification of students needing special education services. The 1998 California funding reform legislation patently dis-incentivizes identification of the same students and flies in the face of the intent of the federal requirement. There is little indication that the present federal administration places a high priority on needs of special ed students, so it is doubtful that the feds will take the state to task over this. Other than some lip service and study, it also seems doubtful that the state will actually do anything that costs real money. Effective litigation within the California state court system to force fairness and equality for the most vulnerable students seems like the only alternative that might bring results.